This could become a regular Steam feature, but more likely it’ll be returning as part of the old Steam sales. 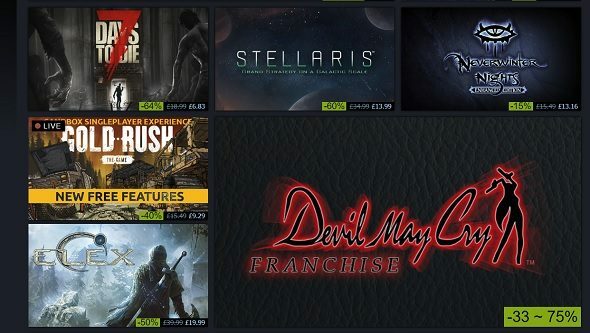 If you’ve forgotten how Steam sales used to work, every time a major sale went live it would be accompanied by a set of daily deals and flash sales, which temporarily offered bigger discounts on a rotating selection of titles throughout the sale. This leak suggests we’ll see that format once again. The leak comes via Tyler McVicker, sharing a screenshot of the Steam Translation Server from an unnamed source. The STS is a project that crowdsources Steam localization, asking volunteers to translate text strings into their own languages. Those strings sometimes include details that haven’t yet hit the live Steam servers – like a list of flash sale timings. Flash sales are one of the more questionable aspects of the old Steam event format. Since base discounts were frequently bolstered by temporary discounts, there was no good reason to buy anything that wasn’t part of a flash sale – the game you want might be $5 today, but $2 an hour from now. On the flip side, the constant rotation of flash deals made the sales feel more like events, which is a feeling that’s been missing from the once legendary sale weeks. Whether that’s something legitimately fun or simply a cheap psychological trick to keep people buying more remains a matter of some debate. Either way, maybe you should prepare to once again hold out for better deals once the next big sale comes around.